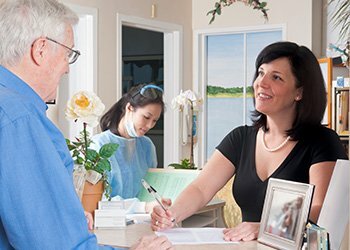 When looking for a new dentist’s office to call home, what are your priorities as a patient? Are you looking for the best that dentistry has to offer in the form of modern technology and techniques? A wide variety of services that can address all of your personal needs? A comfortable, welcoming office atmosphere where you always feel at ease? At Advanced Dental Solutions of Pittsburgh, we’re happy to offer all of these benefits and many more. Dr. Dan Rairigh is a highly experienced dentist who regularly puts his advanced training and artistic talent to good use. His dental treatments have resulted in stunning, long-lasting improvements for his patients, whether they were seeking extensive restorative care for damaged teeth or a comprehensive smile makeover. Better yet, he and his team go out of their way to bring people in for appointments as soon as possible so that no one is left waiting. 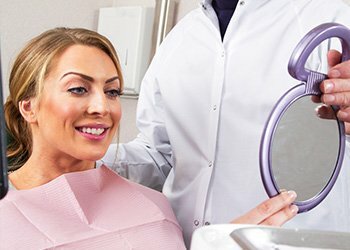 The dental world is constantly coming up with great ideas and techniques that will make this essential care a more successful experience for patients. Dr. Rairigh is passionate about this gradual evolution, which is why he strives to stay right at the forefront. Whenever you visit our practice for treatment, our team will be utilizing state-of-the-art tools and techniques as well as high-quality materials every step of the way. We also offer the latest sedative services in order to maximize your comfort! It is pretty frustrating when your chosen dentist is regularly handing out referrals to other dental practices whenever a problem makes itself known. After all, these trips cost patients valuable time and money, and they may feel uncomfortable in the specialist’s unfamiliar office. 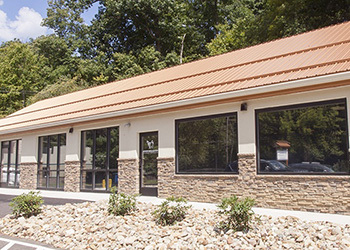 At Advanced Dental Solutions of Pittsburgh, our commitment to comprehensive care is apparent in our practice name. We offer general dentistry, restorative solutions including same-day crowns and root canal therapy, cosmetic transformations, sedation dentistry, dental implant placement and restoration, orthodontics, and more so that you can stay in one convenient location when facing virtually any dental need. Rest assured that we are not interested in rushing patients in and out the door in order to pad our bottom line. Relationships are the name of the game here in Pittsburgh, and Dr. Rairigh enjoys getting to know every person who places their smile in his hands. We will always take care of you like we would our own family, providing the best treatment options available and personalizing our approach to fit your unique needs and goals. We hope to see you in our practice for many years! When you have a hectic work schedule, finding gaps of time to fit in needed dental care can feel like a difficult struggle – especially when your chosen practice’s hours are fairly inflexible. Thankfully, Dr. Rairigh is sensitive to these concerns and wants to provide patients with scheduling options that fit right into their routine. The office is open until 8:00pm on multiple weeknights, which means you can stop by after leaving the office.